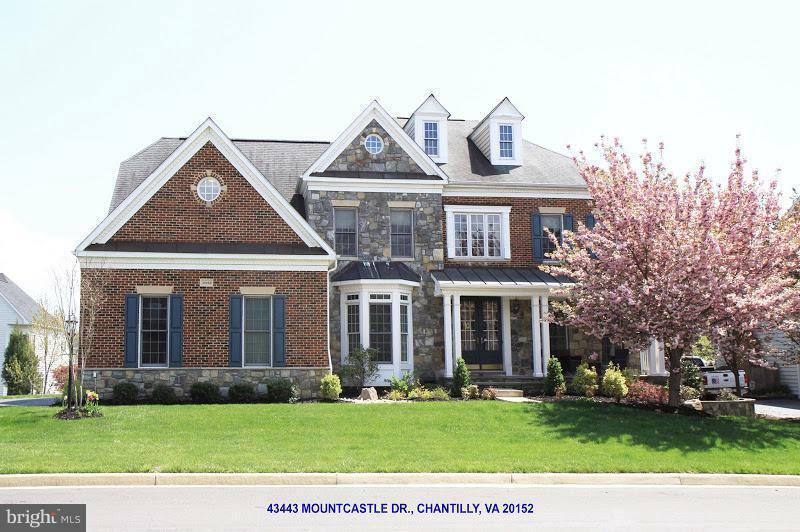 PRICED TO SELL-STILL AVAILABLE-ABSOLUTELY GORGEOUS STONE FRONT COLONIAL HSE IN A NICE NBHD W/LRG 3CAR GARAGE. WIDE OPEN FLRPLAN, PLENTY OF SUNLIGHT. OAKFOYER CURVE STAIRCASE. DBLE CEILING FOYER, DBLE CEILING FAM-RM. LRG EXTENDED SUNRM. GOURMET KIT W/GRANITE COUNTERTOP, DBLE WALL OVEN. LUXURY OWNER BEDRM W/TRAY CEILING&SITTNG RM, CUSTOM BUILD WALK-IN CLOSETS W/KEY COMBILOCK. DRBELL W/CAMERA, WIFI-PROG THERMST. NEW CUSTOM PAINT. Directions: GPS LOCATION SEARCH - ROUTE 50 WEST TOWARD CHANTILLY - TURN LEFT AT PLEASANT VALLEY ROAD - TURN RIGHT AT HERNDON AVE - STRAIGHT (HERNDON AVE BECOMES POLAND RD) - TURN LEFT AT MOUNTCASTLE DR - THE HOUSE IS ON THE LEFT.